By Jove! What Is a Clinician to Make of JUPITER? The results of recent cholesterol-lowering drug trials on decreasing morbidity and mortality among persons with or without coronary heart disease (CHD) have been consistently negative.1-9 However, there is one exception, the JUPITER (Justification for the Use of Statins in Primary Prevention) trial,10 which showed—in primary prevention—a striking decrease in CHD complications. The JUPITER trial rapidly provoked controversy11-13 regarding both the results and the methods used in the trial. Although enthusiastic comments have been published,14-17 and the results have undoubtedly propelled many healthy persons without elevated cholesterol levels onto long-term statin treatment, the clinical relevance of the JUPITER trial remains in question. To understand the rosuvastatin-JUPITER controversy, we critically review several significant issues of that study. The JUPITER trial tested the effects of rosuvastatin therapy (20 mg/d) in patients without cardiovascular history or established CHD and with normal or low cholesterol levels but relatively high levels of C-reactive protein, a fluctuating biologic marker of inflammation.18 The authors reported a 50% reduction in low-density lipoprotein cholesterol levels, a 37% reduction in C-reactive protein levels, and a roughly 50% decrease in cardiovascular complications.10 The publication of the JUPITER trial (in November 2008) was much anticipated since the announcement of the trial's premature discontinuation in March 2008,19,20 at a meeting of the American College of Cardiology, following the presentation of the disappointing results of the ENHANCE (Ezetimibe and Simvastatin in Hypercholesterolemia Enhances Atherosclerosis Regression) trial.9 Similarly to ezetimibe (tested in the ENHANCE trial), rosuvastatin was already the subject of aggressive marketing despite the absence of evidence that its use actually decreased CHD complications. Indeed, disregarding open-label studies such as ASTEROID (A Study to Evaluate the Effect of Rosuvastatin on Intravascular Ultrasound-Derived Coronary Atheroma Burden),21 3 trials with rosuvastatin (CORONA [Controlled Rosuvastatin Multinational Trial in Heart Failure],1 GISSI-HF [Gruppo Italiano per lo Studio della Sopravvivenza nell’Infarto Miocardio–Heart Failure],3 and AURORA [A Study to Evaluate the Use of Rosuvastatin in Subjects on Regular Haemodialysis: An Assessment of Survival and Cardiovascular Events]5) had been conducted, and all had failed to provide evidence that rosuvastatin therapy reduces CHD complications. The failure of rosuvastatin to show a significant protective effect was also true for patients with established CHD, because most patients in the CORONA and GISSI-HF trials were survivors of a previous myocardial infarction. Fueling concern about the termination of the study is that the data are not consistent with a large difference between treatment and placebo. The primary end point (Table, line 1) is a composite of cardiovascular complications, some of which—such as revascularization and hospital admission—are of less relevance because they are not complications but medical decisions. Taking only the hard end points of fatal and nonfatal myocardial infarction and stroke (Table, line 8)—the end points that are less open to bias and manipulation—the trial was stopped after only 240 events. Furthermore, there was no difference in the incidence of serious adverse events (total hospitalizations, prolongations of hospitalizations, cancer, and permanent disability) between the 2 groups. Moreover, a close examination of the all-cause mortality curves (Figure 1D in the first JUPITER article10) shows that the curves were actually converging when the trial was ended, suggesting that the borderline significant difference between groups may have disappeared in case of a slightly longer follow-up. Strangely, in a subsequent article27 that was apparently written to defuse the controversy, the all-cause mortality curves were truncated so that the previous converging portion was no longer displayed. In any trial, the consistency of clinical data must be examined to determine whether methodological flaws have increased the risk of bias. For instance, in cardiology, comparison of the rate of hard end points—fatal and nonfatal myocardial infarction and stroke, which represent most cardiovascular complications in any population—to those expected from a comparable population, at least in the placebo group, provides such a check on methodology. At first glance (Table), the difference between the 2 groups in terms of hard end points seems impressive (157 vs 83 for placebo and rosuvastatin, respectively). But are these differences plausible? Although an “unequivocal reduction in cardiovascular mortality” was announced in March 2008 as the main justification for the premature trial termination,19,20 the absence of cardiovascular mortality data in the published article is striking. One may infer from the Table—although not indicated in the text—that the total number of fatal myocardial infarctions was 9 in the rosuvastatin group (the difference between 31 “any myocardial infarctions” and 22 “nonfatal myocardial infarctions”) and 6 (68 − 62) in the placebo group. Similar calculations for fatal stroke (the difference between “any stroke” and “nonfatal stroke”) show 3 (33 − 30) in the rosuvastatin group and 6 (64 − 58) in the placebo group. Cardiovascular mortality (fatal stroke plus fatal myocardial infarction) would therefore be identical in both groups (12 vs 12). Such a lack of effect on cardiovascular mortality associated with a strong effect on nonfatal complications strongly suggests a bias in the data set and should have led to the continuation of the trial rather than to its premature ending. Other inconsistencies add to the confusion. First, the ratio of fatal myocardial infarction (9 for rosuvastatin and 6 for placebo) to nonfatal myocardial infarction (22 and 62) is incredibly low, especially in the placebo group. Mortality from acute myocardial infarction is a very important issue in cardiology. The data would suggest that the hearts of the JUPITER patients were unexpectedly—and inexplicably—highly resistant to acute ischemia and infarction. The worst consequence of low myocardial resistance to ischemia is death, often sudden cardiac death (SCD). Myocardial infarction–related death, the “case-fatality rate” in epidemiological reports, is usually very high and is known, thanks to the World Health Organization's MONICA study, in many populations with very different risks.28 Out of 100 patients who have a myocardial infarction, an average of 50 die immediately—usually out of hospital—or within the 3 to 4 weeks that follow, and almost never fewer than 40 out of 100, even in populations with low cardiovascular mortality, for example in Japan and around the Mediterranean sea.28 In the JUPITER trial, the case-fatality rate in the placebo group was incredibly low: 8.8%, a clinical inconsistency that suggests a major flaw in the study. Moreover, the case-fatality rate in the rosuvastatin group was 29%. This rate was significantly different from that in the placebo group (Fisher exact test, P = .01) and more consistent with (though still lower than) the range reported in the MONICA study.28 Another dilemma is raised by this figure as it would imply that the use of rosuvastatin tripled the case-fatality rate. This figure is not credible. Second, other ways of calculating cardiovascular mortality in the JUPITER trial could be used. For instance, Chan et al29 used the combined end point “myocardial infarction + stroke + confirmed death from cardiovascular causes” (line 8 of the Table), from which they removed nonfatal myocardial infarction (line 2) and nonfatal stroke (line 4). They calculated that the numbers of deaths from cardiovascular causes were 31 and 37 in the rosuvastatin and placebo groups, respectively, not a significant difference. Because the total number of fatal myocardial infarction and stroke was 12 in both groups, it would mean that there were 19 and 25 cardiovascular deaths that were not due to myocardial infarction or stroke. The question raised is obvious: What are the causes of these so many “other” cardiovascular deaths? 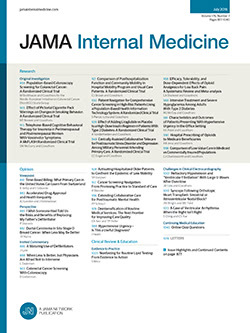 In the March 5, 2009, issue of the New England Journal of Medicine, Ridker and Glynn24 explain that the calculations by Chan and colleagues are incorrect “because they do not account for deaths from vascular causes, such as aneurysm rupture.” Would this mean that in the same period of time there were 6 fatal infarctions and 25 fatal aneurysm ruptures in the placebo group? This is highly unlikely and still does not explain why the calculations made by Chan and coauthors are incorrect. Even Ridker and Glynn write that the number of confirmed deaths from cardiovascular causes was 35 in the rosuvastatin group and 43 in the placebo group (no significant difference), based on “very strict end point classification criteria” that are not clearly described, and surprisingly do not mention SCD. Sudden cardiac death actually is the simplest and most reliable diagnosis in cardiology because, contrary to myocardial infarction, there is no need for biologic and/or electrocardiographic criteria. It is defined as a death occurring within 1 hour after the first symptoms of heart attack—or as an unwitnessed death.30 It is therefore very surprising that no SCD is reported in the JUPITER trial because SCD usually represents about 65% to 70% of total cardiac mortality.31 As previously underlined,32 the way SCD is reported—or not reported—may be a good indicator of the quality of the methods used in a trial. None of these clinically inconsistent numbers has been explained in the different JUPITER articles.10,27,33 Although it is quite unusual that the burden of calculating cardiovascular mortality is placed on the readers, all methods used, however, lead to the same conclusion: there is no significant difference in cardiovascular mortality between the 2 groups in the JUPITER trial. Moreover, cardiovascular mortality in the JUPITER trial appears to be unexpectedly low compared with total mortality—between 5 and 18%, depending on the means of calculation—whereas the expected rate would have been close to 40% in a non-Japanese and non-Mediterranean population.28,34 These mortality data are not epidemiologically consistent, and the early termination of the JUPITER trial likely was, at least partly, responsible for that lack of consistency. Therefore, the JUPITER data set appears biased. Three other trials1,3,5 involving rosuvastatin therapy in high-risk patients did not show any protection. The authors of the JUPITER study fail to comment on these negative trials but go on to report secondary end point and subgroup analyses that appear to support the efficacy (and safety) of rosuvastatin therapy.35-38 For example, an entire article was devoted to reporting a significant benefit in 1 secondary end point, reduction of venous thromboembolisms,35 whereas the significant increase in new diagnoses of diabetes among patients taking rosuvastatin—a no less important secondary outcome—was relegated to a short comment.10 Similarly, secondary analyses of subgroups—women,36 patients with moderate chronic kidney disease,37 or persons 70 years or older38—are subject to all the limitations of the main data set. The JUPITER trial involved multiple conflicts of interest. It was conducted by a sponsor with obvious commercial interests. Nine of 14 authors of the JUPITER article10 have financial ties to the sponsor. The principal investigator has a personal conflict of interest as a coholder of the patent for the C-reactive protein test. The sponsor's pervasive role is clearly described in the second paragraph of the “Methods” section of the report: “the sponsor collected the trial data and monitored the study sites.”10 It means that the sponsor's own investigators controlled and managed the raw data. This does not mean that raw data have been modified before being transmitted to statisticians, but it does increase the chance of bias seeping into the data set, as the misrepresentation of data about rofecoxib,39,40 gabapentin,41 and ENHANCE9,42-44 have shown. Correspondence: Michel de Lorgeril, MD, Laboratoire Cœur and Nutrition, Faculté de Médecine, TIMC-IMAG, Université Joseph Fourier and Centre National de la Recherche Scientifique, UMR 5525, Domaine de la Merci, 38706 La Tronche, France (michel.delorgeril@ujf-grenoble.fr). Accepted for Publication: April 20, 2010. Author Contributions:Study concept and design: de Lorgeril and Rabaeus. Acquisition of data: Hamazaki. Analysis and interpretation of data: de Lorgeril, Salen, Abramson, Dodin, Hamazaki, Kostucki, Okuyama, and Pavy. Drafting of the manuscript: de Lorgeril and Rabaeus. Critical revision of the manuscript for important intellectual content: de Lorgeril, Salen, Abramson, Dodin, Hamazaki, Kostucki, Okuyama, Pavy, and Rabaeus. Statistical analysis: de Lorgeril and Abramson. Administrative, technical, and material support: Abramson. Study supervision: Kostucki and Rabaeus. Financial Disclosure: Dr Abramson has served as an expert for plaintiffs' attorneys in litigation involving the pharmaceutical industry (not involving rosuvastatin), as an unpaid consultant to the Federal Bureau of Investigation and the Department of Justice in investigations involving the pharmaceutical industry, and as a consultant to Wells Fargo Insurance Services. Disclaimer: The opinions and analyses expressed by the authors do not necessarily reflect the opinions of the authors' affiliated institutions.